City on a river. Chicago is many things, but whatever qualities that make Chicago Chicago exist in no small part because it is a city on a river, albeit a river by and large taken for granted. For many of us, our own placement as a city on a river is something we forget about until we are inconvenienced by having to go over a bridge or have to wait for a bridge that a boat is passing through or that is undergoing construction. When Riccardo Muti became CSO music director in 2010, he expressed concern about the usual methods of orchestras determining what repertoire would be performed during a given season. “[Muti] met with [CSO creative consultant] Yo-Yo Ma at the very beginning of the relationship that they both had with Chicago,” says Gilmer. “They talked about things that were important to [Muti]. One of them was the issue of our youth at risk, that they need to be fairly treated. Muti cannot stand the abuse of children. Nor that people don’t have access to music, or that it might not be easy access. There have been several initiatives in these directions. “Then, Muti starting talking about the environment, and it was Yo-Yo who said, ‘I think you should do something on rivers.’ He took Muti’s idea about the environment and thought that rivers would be a really interesting theme. It sounded a bit crazy at first, but they were riffing off of each other. It is what creative artists do. From its initial utterance as an idea to the full-blown, month-long Rivers Festival that opens Thursday night has taken no less than three years from planning to execution. “There was almost a year of denial—no pun intended to the Egyptian river—while we were still musing,” says Gilmer. “It became more serious and came into being as a shimmer of light. None of this stuff happens overnight—the Dvorák Festival, for instance, was planned a year and a half before it happened. My bewilderment initially was that there were so many pieces, so I could understand the audience’s bewilderment: what are they going to show us? The more we all thought about it, the more it all started to make sense. “I generally am not crazy about themes during seasons,” admits Muti. “You know, this is the theme for this year, this is the theme for next year. It usually is a composer or an anniversary. But this was a great idea. The rivers theme not only puts the accent on music that has been inspired by rivers and waters—which of course, is a lot of music—but it puts an accent on the importance of water for our planet, no? “Often, we do not realize how important water is for the future of our planet, for our lives, for our health, for our commercial activities. We tend to take water for granted. “With all of our problems with the environment, if we continue to destroy our planet, then future generations could find themselves without water. Or, with so little water that a shortage becomes so problematic that it can be a disaster that leads to the point of wars as we look into the future. 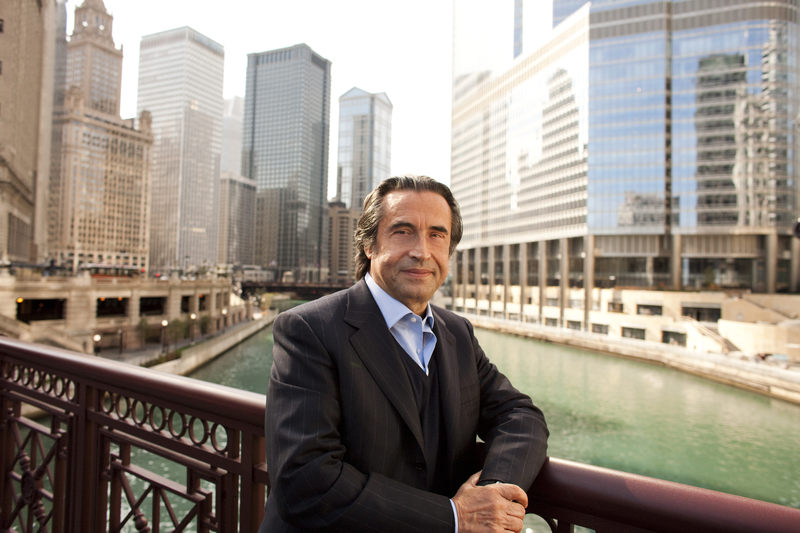 Like most Chicagoans, Muti admits that he does not know the Chicago River as well as he knows Lake Michigan, but he is taking steps during the Rivers Festival to get to know it better. “We are going out on a boat on the river,” says Muti of an event that will be the finale of the Rivers Festival on Sunday afternoon, June 9. “We will have the Chicago Symphony Brass and the Chicago Children’s Choir. The fact that the children will sing and connect music and water together is wonderful. And I will conduct them, they will sing, ‘Va, pensiero.’ ” “Va, pensiero” is the famous Verdi chorus of Hebrew slaves from “Nabucco” which sings of imagined freedom on the banks of the River Jordan. “We couldn’t have a Rivers Festival and not go on the river,” says Gilmer. “Somehow we had to get ourselves out there. Our colleagues at Redmoon Theater and I spent a lot of time imagining how this could be done, physically being on the river. 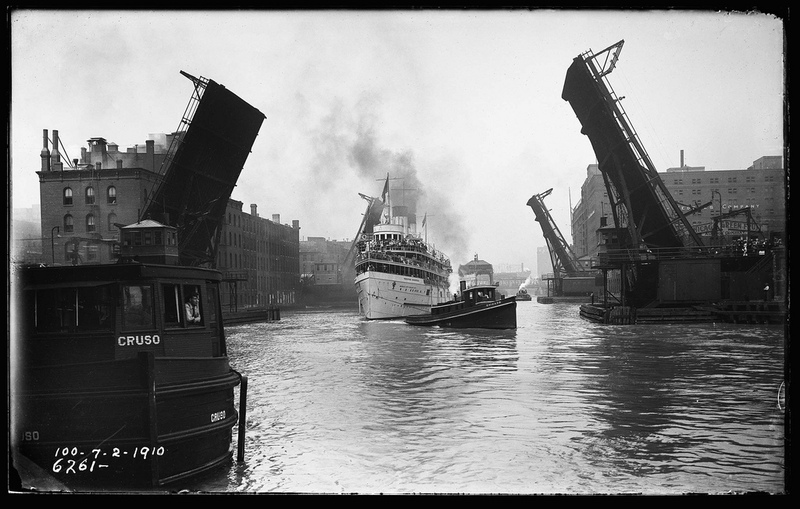 Chicago has many river communities, of course, but boats cannot go under certain bridges. We received a call from the Chicago Park District because Rahm Emanuel is building boathouses to encourage people to have places to store their boats. One of them is ready for dedication on June 9, a Sunday afternoon, at Ping Tom Park in Chinatown, a great place to go, one of Chicago’s unique neighborhoods. 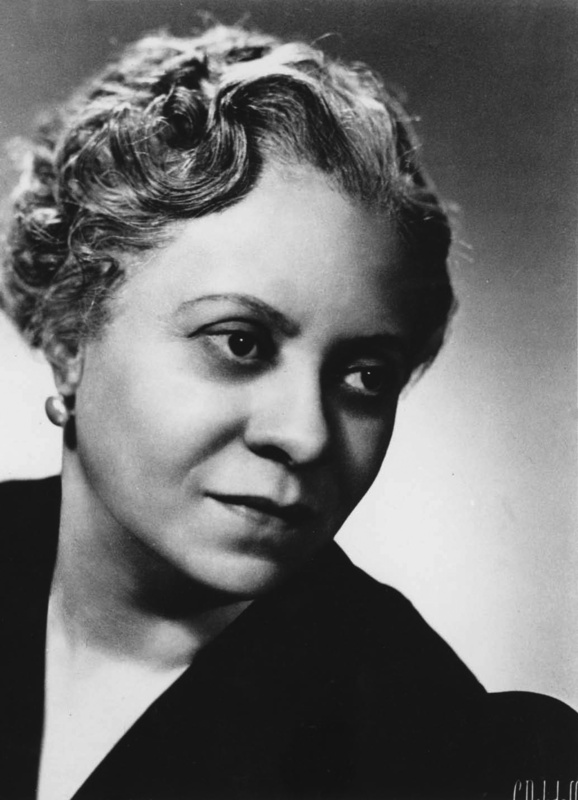 Among the repertoire to be heard during the Rivers Festival is a piece from African-American composer and early twentieth-century Chicagoan Florence Price, her “Mississippi River” Suite. “You think of rivers being highways of culture and commerce,” says Gilmer, “of the blues coming to Chicago literally up the Mississippi River, of music on the riverboats. What is interesting about Florence Price’s piece is that she acknowledges the presence of all the Native Americans along the river and uses Native American rhythms, unlike the music of our friend Dvorák that attempts to portray the New World purely from a European perspective. 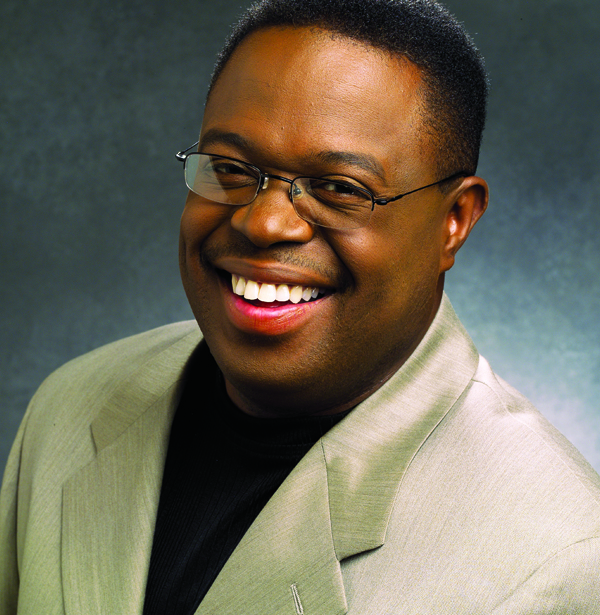 Of particular interest is the world premiere of a new piece by Orbert Davis called “The Chicago River” that was commissioned by the Rivers Festival and will receive its world premiere on May 24 with Davis’ own Chicago Jazz Philharmonic. Part of the thinking in choosing Davis, a figure at home in the classical and jazz worlds that connects with both, are the various rivers intersecting those worlds that he so fully embodies. If that sounds similar to what late Chicago composer and arranger William Russo was doing decades ago in writing pieces for jazz band and orchestra, Davis considers Russo his mentor. “I was Bill’s right-hand man for fourteen years. Much of Bill’s philosophy in terms of living in both worlds I hold very dear. Unlike many classical and jazz musicians who would carefully distinguish between the printed page of the classical world and the improvised world of the jazz world, for Davis, he sees them both in a similar way. “For many years, I was a studio musician that would play commercial jingles, some record dates, movies, things like that. I truly lived in both worlds. A typical day I might play piccolo trumpet for a cereal commercial or flugelhorn and then play trumpet sounding like Miles Davis or Dizzy Gillespie. As a composer, I love both genres and I try to be open to the many possibilities out there in both worlds. It’s really a transformation. Part of the catalyst for Davis was James M. Fahey, the director of programming for Symphony Center Presents, who actually commissioned Davis. Fahey wanted Davis to tie in his piece to the 2011 book “Lost Panoramas: When Chicago Changed its River and the Land Beyond” by Michael Williams and Richard Cahan. “Jim was very specific about multiple panoramas from the book,” says Davis. “I got to know Rich [Cahan] really well; we had lunch together all the time. I never compose without very strong connections to other disciplines. How one genre or discipline transfers in its language and aesthetic to music is significant. “When you think in terms of a river, you think of the aspect of flowing, flow being a verb, which connects with rhythm. So there is already the sense of is it a trickle or is it rushing waters? That is rhythm. So you have the violins and the whole string section and with a drummer swinging, you can start to picture a river. When I think of a river or a specific image of a river, I immediately can hear music. One of the issues addressed in “Lost Panoramas” that Davis portrays in his music is the reversal of the Chicago River. 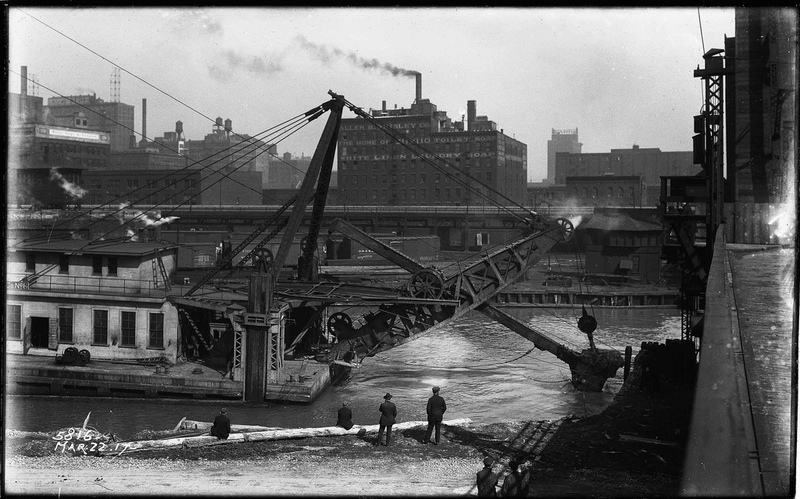 “The building of the canal was because people were dying from illnesses related to sewage from the river going into Lake Michigan. There were lots of clusters, imagine what that must have smelled like. In music, there are compositional techniques to portray the concept of reversal, one of these is retrograde motion, which I use. Chamber music, recitals, symposia, environmental events, virtually every facet of the various organizations that exist under the broad banner of Symphony Center and the Chicago Symphony Orchestra will be taking part in one way or another throughout the month-long Rivers Festival, often in partnership with specific sponsors and other area institutions. 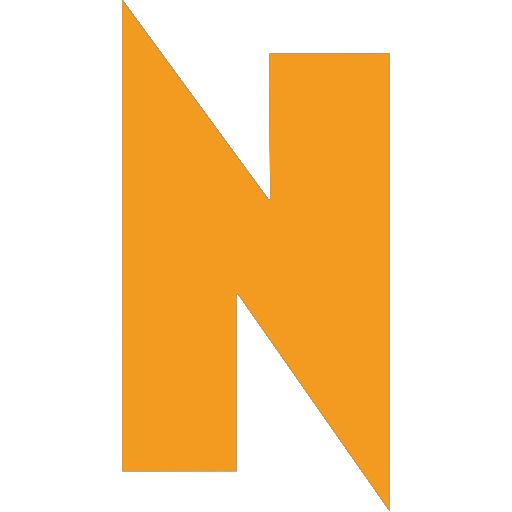 “It gives us another opportunity to show how cultural institutions in general and how our music is part of the fabric of our lives, not separate from it just in a concert hall,” says Gilmer. “The music was written by people in the natural world, who lived in the political world and in our environment, and they were influenced by those things. To come at it from that side and shine a light or place a new lens on the music is part of the intention here. “But I also hope it might help us become more curious about our river, to take the initiative and learn more about it, about the reverse effect, its flow, invasive species, pollutants. You think of the dry river bed of the Euphrates and you start to realize the danger that we face when rivers are neglected. There was the flood in Memphis two years ago which again, shows the unbelievable power and devastation of a river. The fascinating history, the social history, racial issues. There were times when African Americans and white businesses were walking side by side to make it work. And the subsequent deterioration of that. The river has seen it all. You think of T.S. Eliot talking about ‘brown river’ where cities build bridges over rivers and then become neglected cities.